The 400 ktpa VCM plant features production of VCM by pyrolysis of Ethylene Dichloride (EDC). The EDC will be produced using high and low temperature chlorination and INEOS’s unique two stage fixed bed oxychlorination process. The 300 ktpa S-PVC plant will produce a full range of suspension PVC grades from VCM using INEOS Technologies suspension process、 including the use of INEOS Technologies proprietary PVC additives and recipes. The two plants、 forming part of a broader petrochemical complex、 are scheduled to start-up in 2013. Peter Williams、 CEO INEOS Technologies、 stated: ”We are delighted to welcome Qingdao Haijing into our family of licensees. Qingdao Haijing has set a very clear strategy to become a leading Vinyls player in China using best in class technologies for safety、 ease of operation、 product range and environmental impact. We look forward to contributing to a very successful project”. Qingdao Haijing Chemical Group Ltd (originally named Qingdao Chemical Factory) was formed in 1947. Through its more than 50 years of industrial experience、 Qingdao Chemical Factory developed into a large Class II national firm. In September 1999、 the Factory became Qingdao Haijing Chemical Co.、 Ltd、 a subsidiary of Qingdao Kailian (Group) Co.、 Ltd.
Their main products include polyvinyl chloride、 chlorinated polyethylene、 caustic soda、 chlorhydric acid、 liquid chlorine、 iron trichloride、 and other organic and inorganic products. These products are very popular in China. Some have been exported to foreign markets. The company is one of China's important suppliers of basic chemicals. Its main products are caustic soda 12、000tons/year、 PVC resin 80、000tons/year、 chlorinated polyethylene 12、000tons/year、 liquid chlorine 60、000 t/a、 chlorhydric acid 240、000 t/a. The new manufacturing site will be located at Dongjiakou Port Industrial Zone、 Qingdao、 People’s Republic of China. Qingdao is situated in Shandong Province、 approx. 550km South East of Beijing. This new site will increase the company’s total VCM and PVC production capability and represent a yearly sales volume of 3.6 billion RMB. INEOS Technologies is a leading developer and licensor of chemical technologies、 catalysts、 additives and components. INEOS Technologies is part of the INEOS group of companies – one of the world’s largest petrochemical companies. In the vinyls sector、 INEOS Technologies is the leading Licensor with over 45 years experience in the field through its founder companies. It has over 125 licensed facilites in the world operating its technologies for a total of above 21 million tons、 and 3 million tons of capacity under design or construction. INEOS is also the leading vinyls producer in Europe. The death knell appears to have been sounded for Italy’s PVC production at Porto Marghera、 near Venice、 and Porto Torres on Sardinia. The period of “extraordinary administration” for Vinyls Italia (Porto Marghera)、 the former Ineos subsidiary、 will end on 8 September without a buyer on the horizon. All talks about a viable way forward for the two sites evidently have fallen victim to the country’s economic and energy realities and、 ultimately、 petrochemicals giant Eni’s plan to withdraw from chlorine production. If no surprises occur、 the vinyls activities are likely to be wound down、 ending a drama that has played out for at least half a decade. Even the trade unions、 long at the forefront of efforts to save Italy’s petrochemicals and plastics industry、 seem to be convinced that there is nothing more that can be done. A weak ray of hope for Porto Marghera may exist. According to Salvatore Barone、 industry manager at the Italian general labour confederation CGIL (www.cgil.it)、 there is interest in locating other、 non chlorine-related production there. If these plans do not pan out、 Barone said local authorities must find new owners for the Eni-owned industrial property. At Ravenna、 another Vinyls Italia site、 the protracted talks with the wholly family-owned Industrie Generali (IGS、 Samarate / Italy) and Italy’s ministry for economic development are continuing. CEO Roberto Castiglioni told national media that his company is still analysing feedstock supply at the site to which it only gained access in May. Eni、 linchpin in any deal involving chemicals in Italy、 in the end may play a role in the “greening” of the sector、 which in the past several years has dwindled to a fraction of its earlier importance. In June、 it outlined plans for its new bioplastics hub at Porto Torres in a 50:50 joint venture with leading bioplastics producer Novamont. The group has told the economics ministry that this could absorb some of the workers made redundant in the shutdown of petrochemical activities – including the 250、000 t/y cracker owned by Eni subsidiary Polimeri Europa. However、 the environmental group IRS、 which uncovered chemical contamination in the Gulf of Asinara surrounding Porto Torres that eventually led to the indictment of four company managers said it has “major doubts” that the “green” project will help to protect or create jobs at the site. Vegetable oils at Porto Marghera? Italy’s government and trade unions are making slow but visible progress towards securing the future of the Vinyls Italia production sites formerly owned by Ineos. The best news for Italian workers is that energy and petrochemicals conglomerate Eni has agreed to supply the feedstock necessary to restart PVC production at Ravenna under new owner Industrie Generali. According to Italian reports、 the sale to IGS is due to close today、 26 October. After two years of uncertainty、 however、 the trade unions say members are not holding their breath. The expected new owner of the Ravenna site says it will recommence PVC production by the end of 2011、 with output averaging 140、000 t/y for the first year. Disputes with the Eni group over feedstock were one of the reasons for Ineos backing away from its Italian operations and for the long delay in selling the assets. At Vinyls’ Porto Torres (Sardinia) site、 a joint venture of Eni subsidiary Polimeri Italia and Italy’s leading bioplastics producer Novamont is to build a EUR 500m bio-based chemical complex . Tentative plans for a third location、 the former headquarters of Vinyls Italia at Porto Marghera、 are being drawn up – subject to approval by the site’s owner、 Eni subsidiary Syndial. Far removed from the traditional petrochemicals orientation、 Oleificio Medio Piave would produce flour and vegetable oils from oilseed. This would at least guarantee the site’s 120 jobs. In Italy、 Polimeri Europa and Novamont announced a new 50-50 joint venture、 Matrìca、 which will design、 build and manage a bio-based chemical complex in Porto Torres、 at a cost of $700 million. The complex will consist of seven new plants using oil feedstock for the production of bio-plastics、 bio-lubricants and bio-additives for elastomers、 and a research center. The research center is expected to be in operations next quarter、 while the plants are to be completed in the next 6 years. After two years in administration、 there appears to be good news for the Ravenna PVC plant of Vinyls Italia and proof that Italy’s vinyls activities are not dead . Reports indicate that Industrie Generali spa – via its CO.EM subsidiary – has signed a contract to take over the plant. The transaction reportedly has received the unions’ blessing. Industrie Generali will re-start the PVC production in Ravenna within year 2011. IGS plans to invest EUR 10m in the short term to get the plant up and running again. According to CEO Roberto Castiglioni、 production is set to begin within the next 30-40 days. The group initially plans to hire 34 employees、 a number that is expected to rise to a total of 50 in the course of the next six months. Italian media reports assert that IGS plans to raise the plant’s existing 140、000 t/y capacity to 200、000 t/y. The acquisition significantly changes IGS’ business activities. Until now、 the company、 which has capacity to compound 20、000 t/y of polymer in Vanzaghello、 was mostly active in the distribution business. In 2009、 IGS distributed some 95、000 t of plastics – including PVC compounds、 HDPE、 LDPE、 PP homopolymers and plasticisers as well as BOPP film. The materials are procured from Arkema、 BASF、 Carmel Olefins and Hellenic Petroleum、 among others. With its own PVC production、 IGS has moved to an entirely different league、 becoming self-sufficient with regard to feedstock supply for PVC compounds. “We have no problem compounding these feedstocks and selling them、” Castiglioni is quoted across Italian media. INEOS Europe AG announces a new agreement to source Ethane from the USA for import into Europe via the Sunoco Logistics、 L.P. operated Mariner East project. INEOS Europe AG has today announced that it has completed supply and infrastructure agreements that will secure a significant volume of ethane feedstock from the US、 for use in its European cracker complexes. The company has agreed to a long term deal with Range Resources - Appalachia、 LLC for the lifting、 of ethane from the Marcus Hook Facility from 2015 The agreement is effective upon Federal Energy Regulatory Commission (FERC) approval of the Mariner East project . Range Resources is one of the leading US independent upstream companies. David Thompson、 Procurement & Supply Chain Director at INEOS Olefins & Polymers Europe says: “The supply deal with Range Resources complements our portfolio of feedstock agreements for our European crackers and will strengthen our competitive position as an ethylene producer in Europe for the foreseeable future”. INEOS has also finalised Pipeline Transportation Services and Terminal Services Agreements for the shipping of ethane from Houston、 Pennsylvania、 to Marcus Hook、 Pennsylvania、 with subsidiaries of Sunoco. The agreements will be valid for a duration of 15 years and will provide INEOS Olefins & Polymers Europe with significant supply options for the future. It is expected that when completed、 the Mariner East Project will transport approximately 70、000 barrels per day of ethane and propane from Houston、 Pennsylvania to the Marcus Hook terminal facilities. Ethane will then be separated by fractionation and held in storage ready for shipment to Europe. It is expected that ethane from the Mariner East Project will become available during the first half of 2015. Commenting on these well timed significant agreements、 David Thompson says: “INEOS can now position itself as an attractive customer for upstream companies with interests in the Marcellus、 Utica and Upper Devonian gas formations. We will provide these companies with a credible option to diversify sales and supply ethane into our downstream cracker complexes in Europe”. The Mariner East Project is a pipeline、 processing and terminalling project that will interconnect the natural gas liquids resources in southwest Pennsylvania to Sunoco’s existing infrastructure and international port at its Marcus Hook facility near Philadelphia. Two other refineries in the region that recently changed ownership - the former Sunoco refinery now known as Philadelphia Energy Solutions and the Delta Air Lines refinery in Trainer - both envision using Marcellus gas to reduce their costs. Range Resources Corporation is a leading independent oil and natural gas producer with operations focused in Appalachia and the southwest region of the United States. The Company pursues an organic growth strategy targeting high return、 low-cost projects within its large inventory of low risk、 development drilling opportunities. The Company is headquartered in Fort Worth、 Texas. More information about Range can be found at http://www.rangeresources.com/ and http://www.myrangeresources.com/. Sunoco Logistics Partners L.P. (http://www.sunocologistics.com/ ) is headquartered in Philadelphia. The company owns and operates a logistics business consisting of a number of complementary pipeline、 terminalling and crude oil assets. The group owns approximately 5、400 miles of crude oil pipelines、 located principally in Oklahoma and Texas. It also owns approximately 200 crude oil transport trucks and approximately 120 crude oil truck unloading facilities. It has approximately 42 million barrels of refined products and crude oil terminal capacity (including approximately 22 million shell barrels of capacity at the Nederland Terminal on the Gulf Coast of Texas and approximately 5 million shell barrels of capacity at the Eagle Point terminal on the banks of the Delaware River in New Jersey). The company’s Refined Products Pipelines segment consists of approximately 2、500 miles of pipelines located in the northeast、 midwest and southwest United States、 and equity interests in four other refined products pipelines. Sunoco Inc. announced Wednesday that its shuttered Marcus Hook refinery would be reborn as a facility to process Marcellus Shale natural-gas products、 fueling new construction and traffic through the Delaware River port. Sunoco's pipeline subsidiary、 Sunoco Logistics Partners L.P.、 is moving forward with a plan to transport high-value propane and ethane by pipeline from Western Pennsylvania to Marcus Hook、 where the materials will be processed in a new plant and shipped by sea to domestic and export markets. State officials hailed the project -- which Sunoco calls Mariner East -- as a boost for Pennsylvania's Marcellus Shale industry by connecting the areas producing natural gas in Western Pennsylvania to markets linked to Philadelphia. "I have long held that the Marcellus Shale is an important resource that over time would benefit the entire commonwealth、" Gov. Corbett said in a statement. The pipeline project is the latest industrial venture built on confidence that the Marcellus Shale、 where full-scale production began barely four years ago、 represents a long-term reliable energy supply. Sunoco Logistics announced the Mariner East project in 2010 as a way to repurpose an underused Sunoco pipeline that historically moved refined products from east to west. Sunoco Logistics and its partner、 MarkWest Energy Partners L.P.、 conceived of reversing the pipeline flow to move the abundance of natural-gas liquids derived from the "wet" gas produced in Western Pennsylvania. MarkWest、 based in Denver、 is a leading processor of natural-gas liquids. The Mariner East project envisions moving ethane and propane from Marcus Hook by sea to petrochemical plants overseas or along the Gulf Coast that value the natural-gas liquids as a raw material for plastics. Range Resources Corp.、 the Marcellus pioneer whose drilling operations are concentrated in liquids-rich parts of southwestern Pennsylvania、 has signed a 15-year agreement as the anchor shipper. Range has committed to provide 40、000 barrels of the project's 70、000-barrel-per-day capacity. Range、 based in Fort Worth、 Texas、 has lined up a customer for its ethane. It announced Wednesday that it had signed a separate 15-year agreement with affiliates of INEOS A.G.、 a Swiss petrochemical producer that will take delivery of the material at Sunoco's Marcus Hook docks. INEOS has plants in Europe、 the Americas、 and Asia. The Mariner East project is one of several ventures that have been competing to capture a share of the valuable ethane market. Sunoco Logistics and MarkWest also teamed on a project called Mariner West、 which is converting a pipeline to ship ethane from Western Pennsylvania to a petrochemical plant in Sarnia、 Ontario. Enterprise Products Partners L.P. is moving ahead with a pipeline to move ethane overland from Appalachia to Texas. And Shell Chemical L.P. announced in March that it had selected a site in Beaver County to build an "ethane cracker" by 2017 to convert the material into petrochemicals in Pennsylvania. Mariner East is expected to be transporting propane by the second half of 2014 and delivering propane and ethane in the first half of 2015. Construction will employ about 450 people. Sunoco Logistics is investing $600 million in the two Mariner projects、 company spokesman Thomas P. Golembeski said. Industry officials suggest the Mariner East project may be only the beginning. Sunoco Logistics said that based on the "significant interest" it had received from producers and industrial customers of liquids、 it was already evaluating a second "open season" to expand the pipeline's capacity. Range Resources、 a major shipper on all three ethane pipelines、 said its 15-year commitments still represented only 30 percent of the one billion barrels of natural-gas liquids in its reserves in southwestern Pennsylvania. Jeff Ventura、 Range's president and chief executive、 said the Mariner East project could "help to serve as a building block for the potential expansion of the region's petrochemical industry." It also will bring new supplies of propane into Northeastern markets、 where it has broad residential and industrial applications. As part of the pipeline project、 which requires approval by the Federal Energy Regulatory Commission、 Sunoco Logistics will construct a pipeline from MarkWest's processing complex in Houston、 Pa.、 to the existing Sunoco pipeline in Delmont、 Pa. MarkWest separates the ethane and propane from natural gas through a supercooling process that converts the material into liquids. The pipeline will move the liquids to Marcus Hook、 where Sunoco Logistics will construct facilities to process、 store、 chill、 and distribute the fuels to regional and overseas markets. MarkWest this year started delivering propane to Marcus Hook by rail for export. Local and state officials have promoted the Marcus Hook facility as a regional "energy hub" since Sunoco shut down the petroleum refinery there in December. Two other refineries in the region that recently changed ownership -- the former Sunoco refinery now known as Philadelphia Energy Solutions and the Delta Air Lines refinery in Trainer -- both envision using Marcellus gas to reduce their costs. Sunoco Logistics Partners L.P. today announced that it had a successful open season for Project Mariner West. Sunoco Logistics received binding commitments that enable the project to proceed as designed with an initial capacity to transport approximately 50、000 barrels per day and the ability to expand to support higher volumes as needed. Mariner West is a pipeline project developed jointly by Sunoco Logistics and MarkWest Liberty Midstream & Resources、 LLC、 a partnership between MarkWest Energy Partners、 L.P. and The Energy & Minerals Group. The project will deliver ethane from the liquid-rich Marcellus Shale processing and fractionation areas in Western Pennsylvania to the Sarnia、 Ontario petrochemical market. Together with Mariner East、 a previously announced Sunoco Logistics/MarkWest Liberty pipeline and marine project developed to transport ethane produced in the Marcellus to the US Gulf Coast and International markets、 these projects provide Marcellus producers with a comprehensive ethane takeaway solution for the Marcellus Shale basin. INEOS Technologies is pleased to announce that it has licensed its Innovene PP Process for the manufacture of homopolymers、 random copolymers and impact copolymers to China Shenhua Coal to Chemical Xingjiang Coal Chemical Company、 a subsidiary of China Shenhua Group Corporation Limited located in Urumqi City、 Xinjiang Uyghur Autonomous Region of China. The 450 KTA Innovene PP plant、 downstream from a MTO unit、 will produce a wide range of polypropylene products to serve the growing PP market in China. Peter Williams、 CEO of INEOS Technologies、 commented: "INEOS Technologies is very proud of the fact that China Shenhua Group Corporation Limited has again chosen INEOS technology platform for the development of its polypropylene business”. In early 2012、 Shenhua’s Coal to Olefins business chose Innovene PP technology for their second MTO complex to be built by a subsidiary、 Yulin Coal Chemical Company in Yulin city of Shaanxi Province. INEOS and Sinopec initial agreements to form 1.2 million tonne cumene、 phenol and acetone Joint Venture to be based at the Nanjing Chemical Industrial Park in Jiangsu Province、 China. China Environmental Impact Assessment (EIA) approval from relevant Chinese government authority is a major step forward for project to build the largest Phenol facility in China. INEOS Phenol and Sinopec Yangzi Petrochemical Company (Sinopec YPC) have today initialled joint venture agreements for the design、 build and future operation of a 1.2million tonne cumene、 phenol and acetone complex at the Nanjing Chemical Industrial Park in Jiangsu Province、 China. It is currently expected that the project will be completed by the end of 2015. The partnership will benefit from Sinopec’s local feedstock advantages and cumene technology and INEOS’ proprietary phenol technology. The annual capacity of the new facility will be at least 400、000 tonnes of phenol and 250、000 tonnes of acetone making it the largest plant of its kind in China. The facility will also include 550、000 tonnes/year of cumene capacity. Together、 with the corresponding infrastructure、 the Joint Venture will be the largest capital investment ever undertaken by INEOS in China and opens new opportunities for the company to meet the needs of the rapidly growing market. The location of the plant in Nanjing、 Jiangsu Province places it at the centre of China's largest market for both phenol and acetone. Following the completion of this project INEOS Phenol will further strengthen its leading position and will be the only company to have global manufacturing capability、 with phenol and acetone production in Europe、 the USA、 and Asia. In November 2012 INEOS Phenol and Sinopec YPC received approval of their Environmental Impact Assessment from Environmental Protection Bureau of Jiangsu Province to proceed with the proposed project to build the facility. The Ministry agreed that the proposed project is in accordance with national and local industrial policy in the Jiangsu Province. The approval of the EIA followed a detailed analysis and evaluation of the overall safety、 health and environmental impact of the project. This EIA approval and the initialled joint venture agreements are a major step towards the formation of the Joint Venture. “The project is the largest capital investment ever undertaken by INEOS and will establish the largest Phenol facility in China. This mutually beneficial partnership is an important development for INEOS Phenol and for INEOS in China. Combining a strong、 local partner like Sinopec YPC with our phenol technology and access to the market brings considerable value to our business and to our customers、” said Harry Deans、 CEO of INEOS Phenol. “I am pleased that we have agreed and initialled the Joint Venture with INEOS. This important partnership is consistent with Sinopec’s strategic focus on integration and growth. Our established presence、 competitive edge and cumene technology、 combined with INEOS’ leading phenol technology、 puts us in a strong position to meet growing demand for downstream petrochemical products、 in the region.” said Dr Ma Qiulin、 CEO of Sinopec YPC. INEOS Phenol is the world’s largest manufacturer of phenol and acetone with sites in Germany、 Belgium、 and USA (Alabama). China is the world's fastest growing market for phenol and acetone and Sinopec is China's leading producer of phenol and acetone with three production sites in Shanghai、 Beijing、 and Tianjin. Chemical giant Ineos is looking to transfer the Kerling chlor-vinyls business to an unnamed party to create a new joint venture、 according to media reports. Chemical Week said Ineos was at an “advanced stage of discussions” over the deal. Ineos declined to comment when contacted by European Plastics News. Kerling is one of Europe’s largest producers of PVC and was established by Ineos in 2010. In 2011、 Kerling acquired Tessenderlo Group’s European chlor-vinyls business for a consideration of €110m (£93m) cash. According to Chemical Week、 Kerling hopes to announce the name of its proposed partner and the terms of the transaction within the next few weeks. INEOS Nitriles and Tianjin Bohai Chemical Industry Group Corporation sign Heads of Terms to create a 50/50 Joint Venture to build a 260、000 tonne Acrylonitrile plant in the Tianjin Chemical Industrial Park in Tianjin Municipality、 China. The investment positions INEOS Nitriles as the only producer to have plants in each of the world’s largest Acrylonitrile markets、 and reinforces its position as the biggest producer in the world. This is the second project INEOS has announced in China in recent months. Combined、 the two JV projects account for a total investment from all partners of more than $1 billion. INEOS Nitriles and Tianjin Bohai Chemical Industry Group Corporation天津渤海化工集団 have today signed a non binding Heads of Terms、 setting out their intention to establish a 50/50 Joint Venture、 to build and operate a world scale Acrylonitrile plant to be located in Tianjin、 China. It is expected that the plant、 which will be designed using the latest INEOS process and catalyst technology、 will be completed by the end of 2016. The initial annual capacity of the new facility will be 260、000 tonnes of Acrylonitrile with an expectation of possible future expansion、 in line with growing demand across Asia. The partnership will benefit from Tianjin Bohai Chemical’s operating capability、 local feedstock advantages and proximity to derivative growth markets. INEOS will provide commercial expertise and production ‘know-how’、 as well as its proprietary Acrylonitrile process and catalyst technology. Located in Tianjin、 the new plant will be well positioned close to one of the most rapidly growing centres of China's Acrylonitrile demand、 with easy access to customers throughout Asia. The Joint Venture with Tianjin Bohai Chemical reinforces INEOS’ commitment to serve its Acrylonitrile customers globally by extending production to cover Asia、 the world’s fastest growing market. The investment positions INEOS as the only producer in the world to have capacity in each of the world’s largest Acrylonitrile markets. Tianjin Bohai Chemical Industry Group Corporation is a large scale、 well established chemicals company based in Tianjin (China). The Group had sales of over $11 billion (2012). The company markets a wide range of products including propylene and Acrylonitrile Butadiene Styrene (ABS). Acrylonitrile is used as a raw material for the production of synthetic fibres、 engineering plastics (ABS、 Acrylonitrile Butadiene Styrene)、 carbon fibre、 synthetic rubber and water soluble polymers. These products are used in a very diverse range of end use markets、 such as textiles、 automotive components、 building and construction materials、 household appliances、 electronic equipment、 sporting goods、 water treatment and oil & gas production. INEOS is committed to the sustained growth of the Barex® and Mitsui PAN resin and Zexlon™ film businesses. This agreement supports long term strategic goals and immediately gives the company a more significant presence in Asia. CEO David Schmidt says: ”The transfer of this business to INEOS Barex AG provides a very close strategic fit. The proposed agreement is good news for all parties involved. Most importantly、 it will provide significant benefit to customers through ongoing、 reliable access to Barex ®、 PAN resin and Zexlon™ film”. Polyacrylonitrile resins are inert products manufactured by Mitsui Chemicals Inc. under license、 at its Nagoya works. Film and sheet applications include pharmaceutical and medical packaging to in the Asia Pacific region. INEOS is the leading supplier of polyacrylonitrile co-polymers、 sold under the Barex® Trademark、 primarily in the European and North American Market. The company is committed to the long-term growth of its Barex® business and continues to invest in its plant、 personnel and products、 securing future business growth. INEOS Barex products are substitutes for Mitsui PAN resin Zexlon film products. On completion of the deal、 INEOS will immediately take over responsibility for sales and marketing to all Mitsui PAN resin and Zexlon™ film customers and will work closely with them to obtain necessary approvals and make the transition to INEOS Barex products. Mitsui production will be continued for sufficient time for approvals to transition to INEOS Barex products. The deal comprising the sales、 marketing、 and supply of PAN resin and Zexlon™ film is expected to be completed on August 1、 2013. CEO David Schmidt says: “The transfer of this business to INEOS Barex AG provides a very close strategic fit. The proposed agreement is good news for all parties involved. Most importantly it will provide significant benefit to customers through ongoing、 reliable access to Barex ®、 PAN resin and Zexlon™ film”. INEOS Barex AG continues to invest in its Barex® business to enhance product quality and expand available capacity to meet the growing needs of new markets in pharmaceutical、 medical、 cosmetic、 and personal care packaging. Barex® is a specialized acrylonitrile-methyl acrylate co-polymer that has both US Pharmacopeia and FDA clearances for medical and pharmaceutical packaging. The chemistry behind Barex® makes it readily convertible into film、 sheet and bottles on standard equipment using extrusion、 injection and calendaring techniques. INEOS Barex manufactures a specialized acrylonitrile-methyl acrylate co-polymer; Barex®. Barex® has established a strong position within the global packaging industry due to its unique performance characteristics. It offers exceptional oxygen barrier protection and chemical resistance combined with strength、 impact resistance、 and processing versatility. Its versatility makes it readily convertible into bottles、 blown film、 sheet and moulded parts. Barex® can be processed through traditional extrusion、 injection and calendering techniques and is easily thermoformed. Because of its exceptional strength、 Barex® can also match the stiffness of other resins at reduced thickness、 allowing for source reduction as well as lighter packaging、 which can translate into substantial cost savings to the end-user. Consumer appeal is one of the most exciting characteristics of Barex®. Barex® offers the design flexibility to create individualized packages that attract the attention of shoppers everywhere. INEOS Barex manufacturing is based in Lima、 Ohio. After being developed in-house、 it was introduced commercially in 1975. As a new product、 Barex® initially found widespread use in packaging processed meat、 correction fluid、 gasoline additives and agrochemicals. Since then、 its use has expanded to an ever-widening range of challenging packaging applications such as medical and pharmaceutical、 personal care products、 cosmetics and premium fruit juice beverages. In addition to the production facility in Lima、 sales and technical offices are found in Delaware、 Texas、 and Switzerland. INEOS has today announced its intention to close production of Expandable Polystyrene (EPS) at its Marl site in Germany、 at the end of Q4 2013. Discussions will now begin with employees and the Works Council to find alternative roles for the 65 people affected by this decision. Expandable Polystyrene is mainly used in the insulation of buildings. As the European construction sector has suffered from adverse economic conditions、 demand for EPS products has reduced. The decision to close the Marl EPS plant follows a full and detailed review of the EPS business、 which has highlighted the need for INEOS Styrenics to optimise its production capacity across its three remaining facilities. This will improve the cost efficiency of its business、 as it continues to meet its customer needs in a highly competitive European market. INEOS Styrenics remains committed to our EPS business. Following the closure of the Marl unit、 it will continue to be one of the largest producers of EPS in Europe with 350 ktpa total capacity. From the end of the year it will supply high quality EPS products from production sites in Breda (The Netherlands)、 Ribecourt (France) and Wingles (France). INEOS Technologies is pleased to announce that it has licensed its Innovene S Process for the manufacture of medium density and high density polyethylene to CNOOC Oil and Petrochemical Company Limited for its cracker complex located in Huizhou City、 Guangdong Province of China. The 400 KTA Innovene S HDPE plant will produce a wide range of polyethylene grades to serve the growing HDPE demand in China. These grades include commodity grades made from Ziegler and Chrome catalysts as well as specialty grades such as bimodal PE 100 pipe products. Peter Williams、 CEO of INEOS Technologies、 commented: "INEOS is delighted to have been selected by CNOOC as its licensing partner for the HDPE plant at Huizhou. We look forward to working with the CNOOC team to deliver an asset that will meet fully both the current and future requirements of CNOOC’s customers". The unit、 to be built in Ningbo、 Zhejiang Province、 will take propylene from the upstream propane dehydrogenation process（C3 1、320千トン） and produce 400kta of polypropylene resins including homopolymers、 random copolymers and impact copolymers. “Oriental Energy Company is embarking on an ambitious expansion program what would make it one of the major players in the market for olefins and polyolefins in China. We are pleased that the company has chosen to select us as technology provider to serve the important Eastern China market. The Innovene PP process is ideal for this facility as it provides proven technology and products already widely accepted in the China market”、 commented Peter Grant、 Business Director of INEOS Technologies. INEOS Olefins & Polymers USA (INEOS) and Sasol announced today the signing of a Memorandum of Understanding (MOU) with the intent to form a joint venture to manufacture high-density polyethylene (HDPE). “This joint venture demonstrates INEOS’s continued commitment to the HDPE market and to growing end-use applications that benefit from bimodal technology. It enables two global companies to integrate with each partner’s upstream businesses the leading bimodal slurry technology on a world-scale asset、” said Dennis Seith、 CEO of INEOS Olefins & Polymers USA. The envisioned facility would produce 470 kilotons per annum of bimodal HDPE using Innovene™ S process technology licensed from INEOS Technologies. The intention is to produce a limited number of grades allowing high grade efficiencies. “This partnership will leverage the expertise of two global players in the chemical market. Together we will develop a world-scale HDPE plant which will allow us to monetize ethylene and supply a high quality product. The joint venture expands on our greater North American strategy and will complement the products produced from the ethane cracker and derivatives project in southwest Louisiana、” said André de Ruyter、 Sasol Senior Group Executive for Global Chemicals and North American Operations. Final investment decision is expected to be made in the first half of 2014 with start-up of the plant expected at the end of 2015. National Development and Reform Commission (NRDC) gives approval for the 650、000 tonne phenol/acetone(フェノールが40万トン、アセトンが25万トン) and 550、000 tonne cumene facility to be built in Nanjing. The ground breaking ceremony was attended by Mr.Yang Weizhe、 the CCP Secretary of Nanjing City; Mr.Ji Jianye、 the Mayor of Nanjing City; Mr Li Chunguang、 President of China Petroleum and Chemical Corporation; Mr.Wang Jingyi、 Chairman and General Manager of YPC; Mr Harry Deans、 CEO of INEOS Phenol and Mr.Brian Davidson、 Shanghai Consulate General of UK. Other officers from local government also attended the ceremony. The new Joint Venture partnership will benefit from Sinopec’s local feedstock advantages and cumene technology alongside INEOS’ proprietary phenol technology. The annual capacity of the new facility will be at least 400、000 tonnes of phenol and 250、000 tonnes of acetone. It will also include 550、000 tonnes/year of cumene capacity. Together、 with associated infrastructure、 the Joint Venture will be the largest capital investment ever undertaken by INEOS in China and opens new opportunities for the company to meet the needs of this rapidly growing market. “I am extremely pleased with the progress we have made over the summer which now opens the way for us to build the largest Phenol facility in China. Working together with Sinopec YPC we combine a strong、 local partner with INEOS’ phenol technology. When completed we will have access to one of the world’s fastest growing markets、 and this will bring considerable value to our customers. This really is a mutually beneficial partnership that is an important development for INEOS Phenol and for INEOS in China、” said Harry Deans、 CEO of INEOS Phenol. “I am pleased to see the establishment of this important Joint Venture. I strongly believe this new company presents significant value to both companies and their customers in China. This partnership is consistent with the strategic industrial refiorm in the Nanjing area、 and is consistent with Sinopec’s strategic focus on integration and growth、 putting us in a strong position to meet growing demand for downstream petrochemical products、 in the region、” said Mr Wang Jingyi、 Chairman of YPC. The location of the plant in Nanjing、 Jiangsu Province places it at the centre of China's largest market for both phenol and acetone. Once completed、 the plant will supply phenol/acetone to customers including on-site consumers. This integration will strengthen and underpin the phenol/acetone derivatives industry in what is the biggest chemical market in Eastern China. The Nanjing Chemicals Industrial Park provides an excellent location with convenient waterway、 land and railway transportation conditions. Following the completion of this project INEOS Phenol will further strengthen its leading position and will be the only company to have global manufacturing capability、 with phenol and acetone production in Europe、 the USA、 and Asia、 with sites in Germany、 Belgium、 and USA (Alabama). China is the world's fastest growing market for phenol and acetone and Sinopec is China's leading producer of phenol and acetone with three production sites in Shanghai、 Beijing、 and Tianjin. Phenol and acetone are important organic chemical intermediates. They are widely used in the industries of phenolic resin、 caprolactam、 bisphenol A、 salicylic acid、 fibres、 plastic、 synthetic rubber、 pharmaceuticals、 agrochemical、 dyes、 coatings、 leather、 and epoxy resins. The government is scrambling to save 800 jobs at the Grangemouth petrochemicals site in Scotland after its owner、 Ineos、 abruptly closed the plant in a rancorous industrial dispute. As the energy and climate change secretary、 Ed Davey、 said that "all efforts" would be made to rescue the plant、 Ineos also refused to rule out closing the oil refinery on the same site. Workers were given the grim news at a meeting with Ineos's chairman、 Calum MacLean. Ineos had given the workforce until Monday evening to accept its demands for radical changes to terms and conditions but the company concluded there was not enough support. Its decision means that up to 800 petrochemicals workers will lose their jobs、 and it threatens the positions of some 600 or more employees at the refinery plus 2、000 contract staff. Staff reacted with shock to the news、 as Ineos followed through on its warning that the threat of closure was not a bluff. The fate of the giant plant on the Firth of Forth has far-reaching implications for Scotland and the UK. Grangemouth is Scotland's biggest manufacturing business、 its refinery supplies most of its fuel and the petrochemicals plant produces plastics used in industries ranging from cars to packaging. In an urgent question on Grangemouth in parliament、 Davey told MPs repeatedly that the government wanted the plant to stay open if at all possible. It would still consider a business case to provide investment to help keep the plant running. "We will be using all our efforts through the [Business] department and UKTI [UK Trade and Industry body] to assist should we need to have a buyer for the petrochemical plant、" he said. However、 Ineos has already warned that the refinery – currently shut down because of the dispute – could be closed permanently if the Unite trade union did not agree to a no-strike deal. Davey also confirmed that detailed contingency plans had been drawn up to protect firms and customers from running out of fuel and chemical supplies. He met MPs later to discuss the issue in more detail. Downing Street has insisted the closure of the Grangemouth refinery would not pose a threat to fuel supplies、 after the AA warned it could hit petrol prices. The prime minister said in an answer to a parliamentary question from the Labour MP Tom Watson that ministers had discussed the closure during Cobra meetings. Downing Street dismissed speculation that the plant could be nationalised、 saying it was a matter for unions and owner to resolve. The prime minister's spokesman said it was disappointing that the petrochemicals side of the plant had closed and called on "both parties" to "continue their dialogue" over the future of the refinery. The closure of the petrochemicals plant follows a standoff between Ineos and Unite、 which represents about 1、100 of Grangemouth's permanent employees as well as many contract workers. Many businesses – from the Rumbling Tum burger van near the site to cab firms、 pubs and hotels – rely on trade from Grangemouth. Gordon Alexander、 who owns Grange Radio Cabs、 said closure would devastate local businesses. "Local shops and local snack bars would definitely go out of business. We do a lot of executive work for them and if they were to close I would probably lose about half of my 50 cabs." Edmund King、 the president of the AA、 warned that petrol prices could rise if Grangemouth and other European refineries closed down. "The AA is concerned with the impact of this refinery closure、" he said. The European commodity trading houses have been predicting the loss of five to six refinery plants over the next two years. "In March to April of last year、 with the closure of refineries and the impending start of the US motoring season、 wholesale prices went up by 20%、 adding 8p to 10p to a litre of petrol. The spike was short-lived because US drivers cut back and some of the refineries were bought. However、 the damage was done and a new UK petrol record [142.48p a litre] was set." The announcement follows the passing of a deadline on a survival plan put to employees、 which asked them to accept changes to pensions and other terms and conditions. The Unite union said about 680 of the site's 1、370-strong workforce had rejected the company's proposals、 which include a pay freeze for 2014-16、 removal of a bonus up to 2016、 a reduced shift allowance and ending of the final-salary pension scheme. Ineos said its owner、 Jim Ratcliffe、 and other shareholders met on Tuesday to study the response from the workforce to their survival plan、 and wanted the employees to be the first to know of any decision the company made. A dispute over pay and conditions at the oil refinery remains unresolved. Unite has accused the company of "playing Russian roulette" with the future of Grangemouth、 the biggest industrial site in Scotland、 and is backing any efforts by the Scottish government to find a new buyer for the oil refinery and petrochemical complex. Ineos sent a letter to workers last Thursday asking them to indicate their rejection or acceptance of the plan. It said those who supported the survival plan would receive a transitional payment of up to £15、000. The two sides have been embroiled in a bitter dispute for weeks、 initially over the treatment of the Unite convener、 Stephen Deans、 who was involved in the row over the selection of a Labour candidate in Falkirk、 where he is chairman of the constituency party. He was suspended、 then reinstated、 then was subject to an internal investigation、 which is due to report on Friday. The dispute has since widened to the future of the entire site、 with Ineos warning that it would close without investment and changes to pensions and other terms and conditions. The company said the plant、 which has been shut down since last week because of the dispute、 was losing £10m a month. Ineos had said it was ready to invest £300m in Grangemouth、 but only if workers agreed to the new terms. Gordon Stewart joined the chemicals business five months ago. He is a Unite member. "I was attracted by a set of pay and conditions and I left a good job somewhere else. They have explained that because of the union vote they are going to close the petrochemicals side. They talked about finding a buyer but they were not very hopeful because it's a distressed business. The assets on the chemicals side probably will opening in the short term but further out it's not clear. "Despite the union activity I still took it as a shock the way it has been done so abruptly. It's as if it was preordained. I have put a lot of faith in the union and I still hope they can do something about it but they may have acted too quickly. "Everyone will be affected: people contractually obliged working here and businesses associated with the place. The way Calum MacLean walked in you could tell what he was going to say before he started speaking. He was ashen faced." Asked if there was any hope Ineos might negotiate: "I certainly hope so." The Minister-President of Flanders、 Kris Peeters、 opens one million tonne deep-sea ethylene terminal at INEOS Oxide、 Zwijndrecht、 Belgium. The Minister-President of Flanders、 Kris Peeters、 has officially opened the one million tonne、 deep-sea ethylene terminal （大型船が入港できるエチレンターミナル）at the INEOS Oxide facility located close to Antwerp harbour、 Belgium. Capable of unloading shipments of ethylene from the world’s largest ethylene vessels、 the terminal directly supplies the needs of both those INEOS ethylene derivative plants located directly at the Antwerp site and those which are connected along the ARG ethylene pipeline、 which links Antwerp to Köln and the Ruhr industrial areas. On opening the terminal、 Minister-President of Flanders、 Kris Peeters、 said: "This new terminal gives a new strength to the petrochemical cluster in Antwerp、 which for the past fifty years has brought skilled jobs and prosperity to Flanders. This investment shows that INEOS sees a future in Antwerp and is a sign that the policy of Flanders is starting to bear fruit." INEOS has a very large demand for ethylene、 supplied substantially by its own production from several steam crackers across Europe. To balance the shortfall the company has traditionally bought ethylene from other companies that sit on the ARG pipeline. The new one million tonne deep sea terminal now presents an opportunity for INEOS to import competitively priced ethylene from around the world 、 thereby improving its flexibility. Hans Casier、 CEO INEOS Oxide、 said: “This is a major step for INEOS. The new terminal secures the competitiveness of our site and underlines the importance of our production facilities in Antwerp、 located at the heart of the largest Petrochemical area of Europe. By opening up access for us to world ethylene markets we can now secure a competitively priced raw material for our European plants located at the Antwerp site and connected along the ARG pipeline." 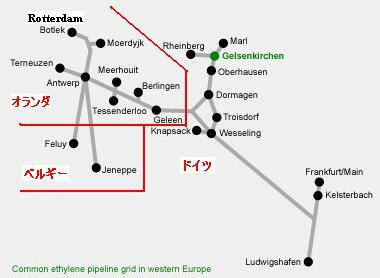 By connecting the terminal to INEOS Oxide in Antwerp and beyond via the ARG pipeline to INEOS Oligomers LAO/PAO facility in Feluy Belgium、 and INEOS Olefins & Polymers in Lillo and Köln(both near Knapsach)、 INEOS will now be able to supply competitively priced ethylene to efficiently balance its requirements across many of its main European facilities. INEOS Oxide、 part of the INEOS Group of Companies、 is a leading producer of Ethylene Oxide and Ethylene Oxide Derivatives、 Propylene Oxide and Propylene Oxide Derivatives、 plus a range of solvents and speciality chemicals、 with production facilities in Antwerp Belgium、 Köln Germany、 Lavéra France、 Plaquemine Louisiana、 Freeport Texas and Hull in the United Kingdom. Almost the entire workforce at Ineos’s Grangemouth refinery and petrochemical plant in Scotland have signed up to the company’s new pension plan and accepted new terms and conditions、 operator Ineos said on Friday. The acceptance of the deal comes after a drawn out and bitter dispute between operator Ineos and the Unite union over the dismissal of a union representative. Ineos Grangemouth (UK) said that “almost the entire workforce” of 1、350 employees had agreed to the new arrangements. The deal puts the company in a good position to bring in significant new investment、 Calum MacLean、 chairman of Ineos Grangemouth (UK)、 said. “With our costs coming under control、 the shareholders are committed to making good on their promise of a £300 million investment、 which will allow us to build a new terminal and use U.S. shale gas as a new raw material for the petrochemicals site、” he said. Ineos is the full owner of the Grangemouth petrochemical plant and a joint owner of the 210、000 barrels-per-day (bpd) refinery along with PetroChina、 which holds 49.9 percent. The company halted operations at Grangemouth in October and demanded changes in terms and conditions before it would permit a restart. It had previously said that losses would force it to shut the petrochemical plant. It is now planning to double the number of apprentices and new graduate recruits it is hiring over the next three years. The owner of the Grangemouth petrochemicals plant said today that almost its entire workforce of 1、350 have accepted its new terms and conditions、 paving the way for a £300 million revamp of the site. The deal follows a bitter dispute with unions earlier this year during which chemicals giant Ineos threatened to close its Grangemouth factory if workers did not agree to changes to the pension plan and other cost-cutting measures. Ineos Grangemouth said that current salaries for the existing workforce will remain unchanged、 while the acceptance of these changes represents “the next milestone” in securing the investment needed for the company to continue trading. The firm is proposing to build a terminal to import shale gas from America which it says will make the factory profitable again. Ineos Grangemouth chairman Calum MacLean said: “This is another important step in the rebirth of the Grangemouth site. With our costs coming under control、 the shareholders are committed to making good on their promise of a £300m investment、 which will allow us to build a new terminal and use US shale gas as a new raw material for the petrochemicals site”. The Grangemouth plant teetered on the brink of closure in October as workers went on strike while Ineos claimed it was losing £10m a month and the cost of employing a technician was running at £90、000 a year. But following political intervention、 the Unite union agreed to accepted changes proposed by Ineos in exchange for the investment that would give the facility a new lease of life. Earlier this month Ineos unveiled its blueprint to transform Grangemouth into the UK hub of the US shale gas revolution. A 40-metre high storage tank which can hold 33、000 tonnes of liquefied ethane – the biggest of its kind in Europe – is at the heart of the plans and will be completed in 2016 with a price tag of £125m. The changes will also see new docking facilities on the nearby Forth for two ships Ineos is having specially built to transport the lucrative ethane gas to Scotland. There is also to be an overhaul of the current “cracker”、 which breaks the gas down and allows it be used in the plastics、 cosmetics and pharmaceutical industries. The changes mean other parts of the Grangemouth site will be scaled down. The UK and Scottish governments have both bought into the future strategy、 with Westminster underwriting £150m in loan guarantees for Ineos、 while Holyrood has handed over £9m in regional selective assistance to the firm. The 'Survival Plan' for Grangemouth is necessary to secure £300 million investment and the long term future of the site. This will help to provide skilled jobs for many years to come. Since the announcement of the ‘Survival Plan’ on 29 September we have been very clear with our employees and the media about the need for change at the site and our plan for the future. As part of this plan we have said that three old plants have reached the end of their useful life and will be closed: Benzene at some point next year with the G4 naphtha cracker and Butadiene plant later in 2015. As these old、 end of life plants close、 it is expected that the expansion of modern efficient plant at the site、 made possible by new investment、 will generate new long term opportunities. As a consequence of this we expect any net reduction in roles to be minimal. The new £300 million investment into the Grangemouth petrochemicals site secures over 1400 skilled、 well paid roles for many years to come. There is no reduction in salaries proposed; operators continue to earn twice the national average in Scotland and have a first class defined contribution pension scheme. INEOS is currently recruiting employees and expanding its apprenticeship scheme at the Grangemouth site. THE European chemicals industry will be wiped out in a decade、 with the loss of 6m jobs、 unless politicians wake up to its chronic lack of competitiveness、 the man at the centre of last year’s Grangemouth dispute has declared. Jim Ratcliffe、 the majority owner of chemicals giant Ineos、 has written to Jose Manuel Barroso、 the European Commission president、 warning that the chemicals industry is heading for the same fate as the textiles sector. He says a toxic cocktail of high energy costs – inflated by green taxes – feedstock prices in “another league” to those in America and the Middle East and uncompetitive labour are leading to the rapid closure of Europe’s chemical plants. That is before Europe is hit by a wave of exports from America – the result of a $71bn (£42bn) spend to 2020 by the US chemical industry as it capitalises on a shale gas revolution that has brought energy prices down to a third of Europe’s. “I recall the extinction of the European textile industry happening before my eyes as a young graduate at Courtaulds in the 1980s. Chemicals could go the same way. It could well be another European dinosaur、” Mr Ratcliffe says in his letter. He points out that the chemicals industry is “a rather larger species” than textiles、 rivalling the automotive sector as Europe’s biggest manufacturer、 with revenues of $1 trillion a year and responsible for 1m direct and 5m indirect jobs. Some 32 of Ineos’s 60 chemical plants are in Europe、 but their profits have halved in the past three years while the group’s US profits have tripled. The situation is exacerbated by growing competition from the Middle East and Asia. Mr Ratcliffe points out that Ineos’s major rival、 BASF、 in a European market spanning around 200 chemical plants、 has also “for the first time ever announced a strategic cutback”. Speaking to The Daily Telegraph、 Mr Ratcliffe said the letter was not a prelude to the announcement that Ineos was closing plants – or to a change of plan at the Grangemouth petrochemicals plant in Scotland、 which he reprieved last year after a bitter stand-off with the unions. Neither was he expecting immediate intervention from Brussels over the industry. I wish to express my deepest concerns about the future of the European chemical industry. Sadly、 I predict that much of it will face closure within the next 10 years. Chemicals、 however、 is a rather larger species and arguably more important to the economies of Europe. There are a lot of jobs at stake. Over 1 million direct jobs and 5 million indirect jobs in total. Worldwide、 the chemicals sector has revenues of $4.3 trillion. That’s bigger than the GDP of Germany and considerably bigger than the automotive sector at $2.6 trillion. In Europe、 chemicals and automotives share top billing with $1 trillion each. Economically speaking、 chemicals is one of Europe’s jewels in the crown. Chemicals literally find their way into all walks of life、 they are omnipresent. Chemicals are required to make metals、 to make fibres、 to make pottery. They are in our watches、 our deodorants、 our iPhones、 cars、 clothes and Nike shoes. Without a chemical industry、 all of the above manufacturers in Europe are potentially put at a disadvantage. Strategically、 and economically、 no large economy should abandon its chemical industry. But Europe seems agnostic about the fate of European Chemicals. The European textile industry was wiped out because it could not compete with Asian labour rates. Slowly、 each of Courtaulds 100 textile factories became loss making and shut down. Chemicals depend upon competitive energy and feedstock costs. Whilst intensely technical as an industry、 and one of the reasons historically that Europe has been so successful、 technology alone will not save it. Energy、 in the form of gas、 in Europe is three times higher than the USA today、 whilst electricity is 50% higher. There are no cheap feedstocks in Europe. USA and Middle East feedstocks costs are in another league. In the Middle East、 they continue to build in Abu Dhabi、 in Qatar、 in Saudi and now we can add Iran with another 6 million tonnes of ethylene capacity re-joining planet earth. And then we have China. British universities no longer seem to have places for Brits wanting to do technical subjects as they are full of Chinese students. At my son’s graduation in economics last year、 I noticed the proud Power Engineering graduates. 100% of them were Chinese. Not one was British. The Chinese are building relentlessly. Whilst in recent history、 they have soaked up all the world’s surplus chemicals、 they will soon be self-sufficient. And beyond that they will start to reverse the flow. Remember they are set to become the world’s largest economy by 2020. So、 in the face of this competitive onslaught、 does Brussels、 or the countries of Europe themselves、 have a master plan? What defences do they have in mind? I can see green taxes、 I can see no shale gas、 I can see closure of nuclear、 I can see manufacturing being driven away. I can see the competition authorities in Brussels blissfully unaware of the tsunami of imported product heading this way and standing blindly in the way of sensible restructuring. INEOS、 one of the world’s largest chemical companies、 profits in Europe have halved in the last 3 years. Profits in the USA have tripled. BASF、 the world’s largest chemical company、 for the first time ever have announced a strategic cutback in European investment citing stagnant markets、 expensive energy and expensive labour. It’s not looking good for Europe、 we are rabbits caught in the headlights、 and we have got our trousers down. We、 14 company CEOs from the energy intensive manufacturing industry、 are worried about our immediate and long-term future in Europe. The forthcoming January proposals of the Energy and Climate 2030 package and the discussion about Energy State Aid therefore represent a unique opportunity for the Commission to better align the EU’s energy and climate policies with our shared imperative to restore industrial competitiveness and restart investments in Europe. ・There should only be one single realistic GHG target、 matched by a second target addressing industrial growth. Both must be closely monitored and readjusted if Europe is not on track to deliver on both. ・The price for carbon、 renewables surcharges and other taxes and levies should not be used to transfer the cost of the energy transition onto manufacturing industries、 the backbone of Europe’s economy. The high cost of non-competitive technologies to decarbonise the power sector cannot be borne by our companies in addition to already uncompetitive energy prices. This also needs to be reflected in the new Environment and Energy State Aid Guidelines. ・All energy supplies supporting a cost efficient and competitive transition towards a low carbon economy、 including indigenous sources of shale gas、 should be mobilized. ・The ETS should be allowed to run its course until 2020 without any further modifications. It will achieve its CO2 emission reduction target at the least cost if current protection against the risk of carbon leakage is maintained. Between 2020 and 2030、 the CO2 target should include two pathways within the same ETS: one with full direct and indirect compensation allowing for growth of our industry and another one for the sustainable decarbonisation of the power sector. We ask for a strong political signal in order to mobilise further investments in the EU. INEOS、 one of the world’s largest chemical companies、 takes legal action in China against a number of Sinopec subsidiaries for misuse of trade secrets in its Acrylonitrile business. Acrylonitrile、 used in plastics and carbon fibre、 is one of the world’s largest petrochemicals businesses. INEOS’s own Acrylonitrile business is world number one and valued at $3 billion、 employing 5、000 people worldwide. Standard Oil of Ohio (Sohio) which developed the process、 later became part of BP. The nitrile business of BP was sold to INEOS in 2005. INEOS、 the fourth largest chemical company in the world、 has today announced that it is taking legal action against a number of Sinopec and Sinopec subsidiaries (SNEC、 Anqing and others) for breach of contract and/or misuse of trade secrets. INEOS says that Sinopec Ningbo Engineering Company has broken a long established technology agreement which、 together with trade secret misuse by other Sinopec companies、 has enabled development of a series of new world scale Acrylonitrile plants without INEOS agreement or consent. INEOS、 which has otherwise excellent relationships with Sinopec and with China、 has no choice other than to protect its intellectual property. INEOS fears that these breaches of rights will cause major harm to its Acrylonitrile business which generates up to $500m per annum of profit and has a replacement value of $3 billion. It supports around 5、000 direct and indirect jobs in the USA and Europe. INEOS currently leads the global Acrylonitrile market. Acrylonitrile is an important molecule which is used to manufacture a wide range of high value goods. It is a key building block for carbon fibre which is essential for a range of highly engineered products in the automotive、 aerospace and defence industries. The new Boeing 787 Dreamliner relies on Acrylonitrile based carbon fibre for its construction. In addition、 Acrylonitrile is a key ingredient in ABS polymer、 used in many everyday applications from children’s toys and computer monitors to white goods. It is the key ingredient in acrylic fibre and by products from the process are essential in a wide range of uses from pharmaceuticals to gold extraction. INEOS believes in the long term development of the Chinese petrochemical industry and is strongly committed to working with companies in China to help them to develop their businesses. INEOS currently has plans to jointly build a phenol plant with Sinopec and an Acrylonitrile plant with Tianjin Bohai天津渤海. INEOS brings world beating technology and a long history of exemplary manufacturing capability to the highest safety and environmental standards. INEOS AG is a company based in Switzerland . Acrylonitrile manufacture is carried out at 4 major sites around the world; Green Lake Texas、 Lima Ohio、 Seal Sands UK and Cologne Germany. INEOS Acrylonitrile technology provides the basis for over 90% of the world’s production. The technology was developed and patented in the United States and is still developed and improved by INEOS USA LLC at our technology centre in Lisle、 Illinois. At present、 the world total production capacity of acrylonitrile is 6.4 million tons / year. The enterprises with large production capacity are INEOS Group、 with production capacity of 1.043 million tons / year、 Ascend Performance Materials、 Inc. of America、 with production capacity of 520、000 tons / year、 Japan Asahi Kasei of 500、000 tons / year. The world acrylonitrile demand is about 6 million tons. It is mainly used in acrylic fiber、 ABS / AS、 acrylamide、 acrylonitrile-butadiene rubber、 adiponitrile and ethylenediamine etc. The major world acrylonitrile consuming regions are Asia、 Europe and North America. Asia is the world's largest acrylonitrile consumption region、 accounting for about 59% of the world's total consumption. In European region、 the acrylonitrile consumption accounts for about 20%、 and in the American region、 acrylonitrile consumption accounts for about 11%. Currently、 China’s total production capacity of acrylonitrile is 1.25 tons / year. In 2011、 the annual production is about 1.08 million tons. PetroChina Jilin Petrochemical Company is the largest acrylonitrile production enterprise in China. Currently、 it has 4 sets of acrylonitrile plants、 the total production capacity is 424、000 tons / year. The other large enterprises include Shanghai Secco Petrochemical Co.、 Ltd.、 with production capacity of 260、000 tons / year、 PetroChina Shun Petrochemical Company、 with production capacity of 92、000 tons / year、 PetroChina Daqing Petrochemical Company of 80、000 tons / year、 and PetroChina Daqing Refining Company of 80、000 tons / years. At present、 the total demand of acrylonitrile in China is about 1.7 million tons. In recent years、 China's acrylonitrile import dependence is maintained at more than 30%、 and the annual import demand is 400、000-500、000 tons. The total imports of acrylonitrile in China reached 542、000 tons in 2011. In China、 the acrylonitrile is mainly used for the production of acrylic、 ABS resin、 acrylic amide、 nitrile rubber and the like. Acrylic fiber is the largest consumption field of acrylonitrile、 accounting for 40% of the total consumption. ABS resin is the second largest consumption field of acrylonitrile、 accounting for 36% of the total consumption. In the next few years、 ABS demand in China is expected to maintain a rapid growth、 with an average annual rate of 6.4%. In addition、 the domestic nitrile rubber industry also develops rapidly. The proportion in acrylonitrile consumption will increase. Overall、 acrylonitrile demand in China in the next few years will grow with an average annual rate of 7-8%、 will be close to 1.90 million tons in 2013、 and domestic acrylonitrile demand is expected to reach 2.40 million tons in 2015. In Jilin City、 the market demand for acrylonitrile is great. Jilin Chemical Fiber Group owns acrylic fiber production capacity of 236、000 tons / year. PetroChina Jilin Petrochemical Company is implementing 400、000 tons / year ABS project. The total ABS production capacity of Jilin Petrochemical Company' will reach 580、000 tons / year in the end. Jilin City is making great efforts develop carbon fiber industry、 and the phase I project of 5、000 tons / year carbon fiber precursor device of Jilin Carbon Valley Company has been built、 and it plans to reach 10、000 tons / annual production capacity. The 16、000 tons / year carbon fiber precursor project of Jilin Tenghua Special Fiber Company will also be started. In the next few years、 these devices will consume a large amount of acrylonitrile、 and Jilin City will become a huge market of acrylonitrile. China Petroleum & Chemical Corp (Sinopec)、 Asia's largest oil refiner、 has denied violating intellectual property rights of INEOS after the Swiss-based chemicals company opened a case at a Beijing court. Subsidiary Shanghai Research Institute of Petrochemical Technology is being sued over technology related to the industrial chemical acrylonitrile、 state-owned Sinopec said in a statement emailed to Reuters on Friday. Acrylonitrile is a building block for carbon fibre used in products in the automotive、 aerospace and defence industries. The subsidiary developed what became a core technology "after 50 years of research、" the company said. "Sinopec has full proprietary intellectual property rights over such technology. There is no ground for the infringement alleged by INEOS、" Sinopec said. INEOS said a Sinopec subsidiary Sinopec Ningbo Engineering Company had broken a long established technology agreement which、 together with trade secret misuse by other Sinopec companies、 had enabled development of a series of new world scale Acrylontirile plants without the consent or agreement of INEOS. "We have good and valuable relationships with Sinopec and other Chinese companies across our business、" said Jim Ratcliffe、 INEOS Chairman in a statement. "But in this case、 we have to take action to protect the interests of our stakeholders." Shares of Sinopec closed 2.2 percent higher in Hong Kong compared with a 2.4 percent rise in the benchmark index. INEOS said it is pursuing parallel actions in the Beijing High Court and through arbitration in Sweden. China has long been a flashpoint for disputes over intellectual property rights. Last year、 U.S. private researcher Commission on the Theft of American Intellectual Property said 80 percent of global intellectual property rights abuse occurred in China. The U.S. and other foreign governments have urged China to take a stronger stand on the matter which affects products ranging from medicine to software to movies. Last month、 Sinopec Corp unit Sinopec Yangzi Petrochemical Co agreed to form a $500 million 50/50 joint venture with INEOS in China's Nanjing city to make industrial chemicals phenol and cumene. One chemical industry consultant with experience with both Chinese and Western firms said it can be common for companies like Sinopec to feel they have made improvements in the technology that fall outside the original license. That could be a key issue to be debated in court、 the consultant said、 speaking anonymously. The Joint Venture、 which is to be called INEOS YPC Phenol (Nanjing) Company Ltd is set to build the largest Phenol Acetone plant in China、 due to complete at the end of 2016. This is INEOS’ largest investment in China and YPC’s eighth joint venture . INEOS Phenol and Sinopec Yangzi Petrochemical Company (Sinopec YPC) have today signed the Joint Venture Agreement and the Articles of Association to form a 50/50 Joint Venture company. Mr.Wang Jingyi、 Chairman and General Manager of YPC、 Mr Harry Deans、 CEO of INEOS Phenol and Madam Wang Xia、 Executive Deputy Director of NCIP Administrative Committee attended the signing Ceremony held in Nanjing. “Establishing INEOS YPC Phenol (Nanjing) Company Ltd following the signing of the Joint Venture Agreement is the major step forwards for this important project. We are delighted to have Sinopec YPC as our long-term strategic partner as we build the largest Phenol facility in China. When completed this new world scale plant will bring considerable value to our customers in the region. The partnership is an important development for INEOS Phenol and for INEOS in China.” said Harry Deans、 CEO of INEOS Phenol. “I strongly believe this new Joint Venture with INEOS presents significant value to both companies in China. This partnership helps to progress Sinopec’s strategic focus on integration and growth、 putting us in a strong position to meet growing demand for downstream petrochemical products、 in the region、” said Mr Wang Jingyi、 Chairman of YPC. The annual capacity of the new plant will be at least 400、000 tonnes of phenol and 250、000 tonnes of acetone. It will also include 550、000 tonnes/year of cumene capacity. Together、 with associated infrastructure、 the Joint Venture will be the largest capital investment ever undertaken by INEOS in China and opens new opportunities for the company to meet the needs of this rapidly growing market. The location of the plant in Nanjing、 Jiangsu Province places it at the centre of China's largest market for both phenol and acetone. Once completed、 the plant will supply phenol/acetone to customers including on-site consumers. This integration will strengthen and underpin the phenol/acetone derivatives industry in what is the biggest chemical market in Eastern China. INEOS Nitriles and Tianjin Bohai Chemical Industry Group Corporation have today signed a non binding Heads of Terms、 setting out their intention to establish a 50/50 Joint Venture、 to build and operate a world scale Acrylonitrile plant to be located in Tianjin、 China. It is expected that the plant、 which will be designed using the latest INEOS process and catalyst technology、 will be completed by the end of 2016. Sasol Ltd.-owned Sasol Chemicals (USA) LLC and Ineos Europe AG-subsidiary Ineos Olefins & Polymers USA have reached final investment decision to form a joint venture to build a high-density polyethylene (HDPE) plant in LaPorte、 Tex. The 50-50 joint venture will produce 470、000 tonnes/year of bimodal HDPE using Innovene S process technology from Ineos、 the companies said. Ineos will act as operator of the HDPE plant at its LaPorte-area Battleground Manufacturing Complex、 the partnership said. While all relevant permits have been secured、 definitive agreements for the project continue to be finalized、 and given that the plant will be debt-financed、 the investment decision remains conditional on achieving financial close、 according to the companies. If the project reaches final approval、 Sasol and Ineos will supply the ethylene feedstock required to produce HDPE in proportion to their respective ownership positions. The companies said they expect plant start-up in 2016. Sasol previously has said that the HDPE plant would be located in the US to complement production from the company’s ethane cracker and derivatives project in southwest Louisiana. INEOS and Solvay have today announced the signing of a definitive Joint Venture agreement covering their European chlorvinyls activities. The Joint Venture - to be known as INOVYNTM - was given clearance by the European Commission in May 2014. Formation of the Joint Venture is subject to implementation of an agreed remedy package consisting of the divestment of INEOS-owned assets in Tessenderlo (Belgium)、 Mazingarbe (France)、 Beek (The Netherlands)、 Wilhelmshaven (Germany) and Runcorn (UK). The terms of the Joint Venture have been simplified since the deal was announced in May 2013. Solvay will now receive an up-front payment of €175 million at closing and in addition to transferring their chlorvinyls assets into the Joint Venture、 will also transfer €250m of liabilities principally in respect of pensions and environmental liabilities. Solvay will exit INOVYN after three years、 leaving INEOS in sole control、 when Solvay will receive additional cash proceeds targeted at €250 million (with a minimum payment of €75 million). This amount will be adjusted depending on the financial performance of INOVYN during the three year Joint Venture period. Chris Tane、 CEO INEOS ChlorVinyls comments: "We are delighted to have been able to reach this agreement、 which will combine our respective chlorvinyls activities to create a world scale business. INOVYNTM will be better able to rapidly respond to changing European markets and increasing competition from global producers." To be headquartered in London、 INOVYN will have proforma 2013 sales of more than €3 billion、 with assets across 14 sites in Belgium、 France、 Germany、 Italy、 Norway、 Spain、 Sweden and the UK. Governance of the Joint Venture will be shared between INEOS and Solvay、 with equal representation on the Supervisory Board. Day to day management of the business will be led by an Executive Team consisting of Chris Tane as CEO、 Mike Maher as CFO and Julie Taylorson as Procurement Director (all currently INEOS) and Filipe Constant as Commercial Director、 Jean Michel Mesland as Operations Director and Otto Grolig as General Counsel (from Solvay). Until formation of the Joint Venture、 which is expected during Q4 2014、 INEOS and Solvay will continue to run their businesses separately. INEOS will acquire BASF’s 50% share in Styrolution、 a joint venture between the companies. The purchase price to be paid by INEOS amounts to €1.1 billion. A call option in favor of INEOS to buy BASF’s share in Styrolution was already included in the shareholders’ agreement signed in 2011. The transaction is subject to approval by the appropriate antitrust authorities. Styrolution will continue to operate as an independent company until the completion of the deal、 which is expected in the fourth quarter of 2014. “Styrolution has fulfilled its promise as a globally competitive business that competes effectively with large-scale producers from Asia and the Middle East. We are pleased to bring Styrolution fully into the INEOS family. After the purchase、 Styrolution will be run separately as a standalone company within INEOS、 and continue to operate as it does today、” said Jim Ratcliffe、 Chairman、 INEOS Capital. Styrolution was founded in October 2011 as a 50-50 joint venture between BASF and INEOS、 and is the leading、 global styrenics supplier. The guarantee allows INEOS to raise the money necessary to build a new terminal to import and store ethane for Grangemouth as North Sea availability declines. The loan guarantee shows support for both the UK petrochemicals sector and for one of the most important infrastructure projects in Scotland. “Without doubt、 this is one of the most important infrastructure projects of recent times in Scotland、 with implications to be felt right across the UK、 not only for employment but also for manufacturing in general、” says Jim Ratcliffe、 INEOS Chairman. A contract is now signed with TGE Gas Engineering for the construction at Grangemouth of Europe’s largest ethane storage tank to start. The first order for construction materials is now placed. INEOS Olefins & Polumers UK has today confirmed that it has received notification from Chief Secretary to the Treasury、 Rt Hon. Danny Alexander MP that its application for an infrastructure loan guarantee has been successful. This confirmation now allows INEOS to raise the funds necessary to invest in a new terminal import、 to store and process ethane from shale gas at its site in Grangemouth、 Scotland、 as North Sea supplies dwindle. The project protects thousands of jobs in Scotland and across the UK. This is major step forward that ensures the long-term future of petrochemical manufacture at Grangemouth. The ethane tank will be the largest in Europe and is central to the site’s plans to import shale gas from the USA. By 2016 Grangemouth will be a shale gas-based facility、 essential if it is to compete in world markets beyond 2017. INEOS O&P UK has also finalised contract agreements with specialist engineering company TGE Gas Engineering GmbH for the construction of what will be the largest ethane storage tank in Europe. Harry Deans、 CEO、 Olefins & Polymers UK says “We are delighted to confirm we have finalised a contract with TGE for them to build the ethane storage tank. The construction of the storage tank is complex and needs specialist knowledge、 but in TGE、 we know we are working with a company that are truly leaders in their field." INEOS owns and operates two (of four) European ‘gas crackers’ that are capable of utilising advantaged US shale ethane gas feedstock、 one in Grangemouth、 Scotland、 the other in Rafnes、 Norway. Ethylene is a vital petrochemical feedstock widely used in the manufacture of a range of products and other chemicals. It is is used on-site at Grangemouth to produce polyethylene (plastic)、 ethanol and is exported across the UK and into Europe. TGE will build the ethane storage tank and associated processing infrastructure at the INEOS Grangemouth site. They are headquartered in Bonn、 Germany and have design offices in Manchester and Eastleigh in the UK. TGE built the INEOS Ethylene import tank in Antwerp and are currently building the Ethane import tank at INEOS’ facility at Rafnes、 Norway. In March 2014、 TGE was announced as the preferred bidder on the ethane tank construction project and the Heads of Terms agreement was signed. In May 2014、 planning permission for the construction of the ethane tank was granted by Falkirk Council. The tank will have the capacity to store 60、000 cubic metres of ethane gas. INEOS has already announced that it has reached an agreement with Evergas to expand its contract for a series of state-of-the-art ethane vessels、 which are currently under construction in China、 from four to six vessels that will bring shale gas (ethane) from the US to its European assets. It has also announced agreements with Sunoco Logistics for capacity in the Mariner East pipeline and terminal system、 with Range Resources and CONSOL Energy for the purchase of ethane、 from the US. In addition it has reached agreement with Enterprise Products for ethane capacity at their recently announced ethane export facility on the Texas Gulf coast. INEOS Technologies announced today that it has entered into license agreements for its Innovene S and Innovene G polyethylene technologies to be used by the proposed ASCENT (Appalachian Shale Cracker Enterprise) petrochemical complex currently being evaluated by Odebrecht and Braskem in West Virginia、 United States. The project's blueprint includes an ethane cracker、 three polyethylene plants and associated infrastructure for water treatment and energy cogeneration. The Innovene G and Innovene S plants produce a full range of linear low density and high density polyethylene with multiple catalysts、 serving polyethylene customers with innovative and consistent products. INEOS has also signed polyethylene licensing agreements for Innovene S plants with Braskem-IDESA、 which is building the Etileno XXI petrochemical complex in Mexico that is expected to be commissioned in 2015. Ineos Oxide has indefinitely suspended plans to build a world-scale ethylene oxide、 glycol and derivatives plant in the US Gulf Coast、 company spokesman Charles Saunders said Friday. The company did not say why it had abandoned plans to build the US Gulf facility、 which was initially announced in December 2011、 with an estimated startup of late 2014. Ineos has previously said the facility would have an EO capacity of at least 500、000 mt、 along with corresponding glycol and derivatives units. Sources said the Battleground Manufacturing Complex in LaPorte、 Texas、 was believed to have been the intended location、 though Ineos said at the time of its announcement it was also studying its sites in Plaquemine、 Louisiana、 and Chocolate Bayou、 Texas. INEOS Barex AG announced today that it intends to close the Barex plant in Lima、 Ohio. The plant is the sole INEOS facility that produces Barex resins（アクリロニトリル共重合樹脂）. The plant is expected to close in the first quarter of 2015. INEOS also operates acrylonitrile and catalyst plants at its Lima site、 and those plants are not impacted by this announcement. INEOS’ Styrolution business、 the global leader in styrenics and INEOS ABS、 the largest fully integrated producer of acrylonitrile butadiene styrene (ABS) in North America are to bring together their business activities in the Americas. Both are wholly owned INEOS companies. Customers in the Americas will benefit from the combined strength of the standard and specialty ABS portfolios、 as well as other styrenic specialties. In addition、 customers will further profit from the polymer expertise Styrolution and INEOS ABS offer in key customer industries、 such as automotive and healthcare. This move will not only enrich Styrolution’s standard and specialty ABS offering to customers but it also establishes Styrolution as the clear market leader in ABS in the Americas. INEOS and Solvay have reached an agreement with International Chemical Investors Group (ICIG) to acquire the assets being divested by INEOS. This agreement、 which follows extensive discussions with the European Commission in the context of the merger control review of INOVYN、 is a key step towards completion of the INOVYN project. ICIG is a privately held industrial company (headquartered in Luxembourg and Germany) that specialises in chemicals and pharmaceuticals、 with 23 manufacturing sites across Europe and the United States. and the EDC plants at Runcorn、 UK. In addition、 the membrane chlorine plant at Runcorn is to be placed in a 50/ 50 Joint Venture between INOVYN and ICIG. The divestment will also include a portion of the potassium hydroxide (KOH) business at Tessenderlo、 with ICIG supplying INOVYN under a toll manufacturing arrangement for the proportion of the KOH business that INOVYN will retain. It is anticipated that the formation of INOVYN will take place in the second quarter of 2015、 upon receipt of all required regulatory approvals and completion of consultation with relevant INEOS employees in scope of the proposed divestment. INEOS Americas LLC has today announced that it has acquired the aromatics business from Axiall Corporation、 a leading integrated North American chlorvinyl and aromatics manufacturer. $52.4 million was paid at closing and an additional $10.5 million may be payable after closing upon satisfaction of certain conditions. The transaction became effective at the end of day on (23:59 ET) 30 September 2015. The acquisition、 comprises the cumene plant、 based in Pasadena、 Texas、 producing 900、000 tonnes of product and employing around 43 people. In addition the phenol、 acetone and alpha-Methylstyrene business will transfer to the INEOS Phenol facility at Mobile、 Alabama. The addition of Axiall’s Aromatics business and cumene assets provides a close fit with the portfolio and expertise of INEOS Phenol. Cumene is an essential raw material for the production of phenol and acetone、 which are used in the production of polycarbonate、 plastics、 phenolic resins、 synthetic fibres (such as nylon) and solvents. These products are used in a diverse range of end markets、 including the automotive、 construction、 electronics and fibre industries. INEOS Phenol is a leading producer of phenol and acetone. Through selective investments in new assets and new technology、 the business intends to further develop its business and grow with its customers. INEOS Phenol is part of INEOS Group AG. 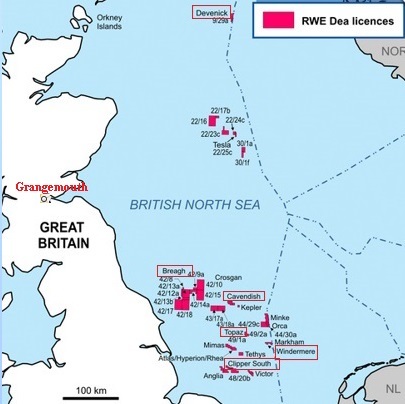 INEOS has today agreed to purchase all of the UK North Sea gas fields owned by the DEA Group、 the German-based oil and gas firm owned by the LetterOne Group. INEOS has moved fast to acquire these high quality、 low risk assets. Once the deal closes、 the platforms、 infrastructure and the highly skilled team that runs them will form part of the new INEOS Upstream business division based in London. The fields、 the largest of which are Breagh and Clipper South in the Southern North Sea、 provide up to 8% of the UK’s gas、 enough gas to warm 1 in 10 British homes. The fields themselves are well positioned、 close to INEOS’ assets in the North East and Scotland. Jim Ratcliffe、 INEOS chairman says、 “We are pleased to acquire a strong portfolio of natural gas assets and bring on board a highly successful and experienced North Sea industry team. INEOS has been very open about its intention to make strategic investments in the North Sea and this acquisition is our first step in fulfilling this goal. It will also help our UK petrochemical assets to have ongoing access to competitive energy”. INEOS today announced that it has agreed to acquire a strong portfolio of natural gas assets in the North Sea from a UK subsidiary of DEA Deutsche Erdoel AG、 which is part of the LetterOne Group. INEOS Upstream will acquire gas fields、 including the Breagh and Clipper South fields in the Southern North Sea which are well positioned close to INEOS’ sites in the North East and Scotland. The annual production from these fields account for 8% of the UK’s annual gas production、 enough gas to warm 1 in 10 British homes. INEOS is a new entrant to the North Sea. However、 the company has extensive experience in operating chemical plants of similar complexity to these offshore platforms. INEOS has recently announced its intention to be the leading UK player in onshore gas development and、 as part of the company's growing interest in energy production、 is now evaluating additional opportunities in the offshore area. As part of the company’s ongoing business planning、 it has set up INEOS Upstream、 a new oil and gas subsidiary of INEOS AG and is working with a number of top class North Sea oil and gas professionals. Their first task has been to conduct a strategic review of the potential opportunities in the North Sea to see whether these are suitable to play a part in the development of the INEOS Upstream business. Jim Ratcliffe、 INEOS chairman adds、 “The acquisition of these North Sea gas fields is a great entry point for the INEOS Upstream business. They are high quality、 low risk assets and they come with a highly experienced management team. Whilst no decisions have yet been made、 we will continue to evaluate other opportunities in the North Sea”. The transaction is subject to competition clearance from the European Commission. We do not foresee any major issue with receiving this clearance、 and are hopeful for a completion date in later this year. The existing management team at DEA’s UK business will stay in place and run the business post-completion. This team has successfully developed the assets that have made this transaction interesting to INEOS、 and has the full support of INEOS. DEA Deutsche Erdoel AG explores and produces natural gas and crude oil worldwide. The company has production facilities and concessions in Germany、 the United Kingdom、 Norway、 Denmark、 Egypt、 and Algeria; and exploration permits in Ireland、 Libya、 Poland、 Suriname、 Trinidad and Tobago、 and Turkmenistan. The company was formerly known as RWE Dea AG and changed its name to DEA Deutsche Erdoel AG in March 2015. DEA Deutsche Erdoel AG was founded in 1899 and is headquartered in Hamburg、 Germany. Axiall Corporation、 a leading integrated chemicals and building products company、 has sold its Aromatics division and Pasadena、 Texas、 manufacturing facility to INEOS Americas LLC for approximately $62.9 million in cash、 of which $52.4 million was paid at closing and an additional $10.5 million may be payable upon satisfaction of certain conditions. The transaction became effective end of day on Sept. 30、 2015. Axiall retained its phenol facility located in Plaquemine、 La.、 which is integrated with other Axiall facilities at Plaquemine、 along with the associated net working capital. The company plans to conduct a safe wind-down of that facility by year-end 2015. The Pasadena facility、 which began operations in 1979、 manufactures cumene. Cumene is used in the production of phenol、 acetone and alpha-methylstyrene、 all of which are building blocks for a range of everyday products including plywood and oriented strand board、 engineered plastics、 pharmaceuticals、 and paints、 acrylics and varnishes. INEOS Phenol is a major producer of phenol and acetone. INEOS Americas LLC operates a phenol plant in Mobile、 Ala. Other INEOS manufacturing sites in the United States are located in California、 Florida、 Louisiana、 Massachusetts、 New Mexico、 Ohio and Texas. Lincoln International acted as Axiall's financial advisor in the transaction. The agreement to sell the business to Synthos S.A. represents an important step in the ongoing development of the EPS business. Completion of the transaction is likely to occur in the second half of 2016、 subject to customary regulatory approvals. INEOS Enterprises has today confirmed it has reached an agreement in principle、 to sell INEOS Styrenics、 its Expandable Polystyrene Business (EPS)、 to Synthos S.A. for €80m. INEOS Styrenics produces high quality Expandable Polystyrene (EPS) for the building、 construction and packaging industries at manufacturing sites at Wingles and Ribécourt in Northern France and Breda in the Netherlands. The three production sites are supported by its technology Centre in Breda、 which is a purpose-built research、 development and product testing facility、 including a research laboratory and pilot plant facilities. Customer Service、 Logistics and Finance groups are also located in Breda. The business employs c. 250 people who will transfer as part of this deal. “The combination of INEOS Styrenics with Synthos will accelerate growth and deliver additional benefits to customers of both companies、 giving them access to expanded technologies and an enhanced product portfolio. It will also offer new opportunities for employees who will be part of a company that is focussed on、 and strategically committed to the long term future of the expanded polystyrene market、” said Ashley Reed、 CEO of INEOS Enterprises. The agreement to sell the business to Synthos S.A. represents an important step in the ongoing development of the EPS business. Synthos S.A. is one of the largest manufacturers of chemical raw materials in Poland. The Company was the first European manufacturer of emulsion rubbers and is a leading manufacturer of polystyrene for foaming applications. The Company is traded on the Polish stock exchange with its headquarters located in Oświęcim. “The aim of the acquisition will be to provide the highest quality expandable polystyrene (EPS) to ensure that expandable polystyrene products (EPS) remain the insulation material of choice for our customers.” said Tomasz Kalwat、 CEO of Synthos. INEOS Styrenics is a part of the INEOS Enterprises portfolio of business. INEOS Enterprises actively seeks market opportunities to acquire、 develop and sell chemical businesses. The Valence Group acted as exclusive financial advisor to INEOS and Squire Patton Boggs acted as legal advisor. Ineos boss Jim Ratcliffe is reported to have made a takeover approach to ConocoPhillips for its North Sea assets which was rejected by the company. According to reports in the Sunday Times、 the $2billion plus offer was turned down amid a boardroom shake-up. ConocoPhillips has been operating in Britain for more than 50 years and employs around 900 people. Ineos is said to have tried to purchase the British arm of the US oil and gas firm. According to sources、 private equity firm Blackstone is also said to have made a bid. It comes after Ineos spent £500million buying a dozen gas fields from LetterOne. In the UK we are operator of、 or have interests in Britannia、 Britannia Satellites、 Judy/Joanne、 Jade、 Jasmine、 CMS、 Galleon、 LOGGS、 Saturn Unit、 V-Fields、 Victor、 Viking、 Calder、 Darwen、 Crossens、 Asland、 Millom、 Dalton、 Clair and Nicol. Onshore、 the company has interests in the Rivers Terminal at Barrow-in-Furness、 the Teesside Oil Terminal at Seal Sands、 Middlesbrough and the Theddlethorpe Gas Terminal at Mabelthorpe in Lincolnshire. INEOS Styrolution, the global leader in styrenics, announced today that it signed an acquisition agreement for the global K-Resin® styrene-butadiene copolymers (SBC) business of Chevron Phillips Chemical Company LLC (Chevron Phillips Chemical) and Daelim Industrial Co. Ltd., the current joint venture owners. The parties have agreed not to disclose the intended purchase price or any other financial details. The transaction, subject to customary closing conditions and regulatory approvals, includes the purchase of the equity interests of K R Copolymer Co. Ltd. (KRCC), K-Resin® SBC intellectual property and other assets related to the SBC business. This acquisition, once completed, will allow INEOS Styrolution to supply its customers from production sites in the Americas, EMEA and Asia Pacific. Chevron Phillips Chemical Company LLC (Chevron Phillips Chemical) announced today that it has signed an agreement with INEOS Styrolution to sell the company’s K-Resin® styrene-butadiene copolymers (SBC) business. The deal is subject to customary closing conditions and regulatory approvals. As part of the transaction, INEOS Styrolution will purchase the equity interests of K R Copolymer Co. Ltd (KRCC), which owns and operates a K-Resin® SBC plant in the Yeosu Petrochemical Complex in South Korea. Certain Chevron Phillips Chemical’s proprietary K-Resin® SBC intellectual property, and other Chevron Phillips Chemical assets related to the business will also be transferred. Most of the approximately 80 KRCC and Chevron Phillips Chemical employees affected are expected to have the opportunity to join INEOS Styrolution. A few Chevron Phillips Chemical employees may be redeployed within Chevron Phillips Chemical’s organization. KRCC is a joint venture between an affiliate of Chevron Phillips Chemical and Daelim Industrial Co. Ltd. The company will also be shutting down older, less efficient K-Resin® SBC production lines at the Pasadena Plastics Complex in Pasadena, Texas. This action will bring Pasadena’s K-Resin® SBC nameplate capacity to 100 million pounds per year. The company’s joint venture plant in South Korea, K R Copolymer Co. Ltd., will maintain a nameplate capacity of 115 million pounds per year. INEOS O&P (INEOS Olefins & Polymers) USA has today announced it has acquired 100% of the shares of WLP Holding Corp., one of the largest high density polyethylene (HDPE) pipe manufacturers in North America. The business is headquartered in Fort Worth, TX with production facilities in Kentucky, South Dakota, Utah, Texas, and Wyoming. A facility in Georgia is currently under construction. With over 500 million pounds of annual production capacity, WL Plastics (WL) provides HDPE pipe to markets including oil, gas, industrial, mining, conduit, and municipal water and sewer. The company’s best-in-class manufacturing processes and experienced production personnel allow WL to be one of the most efficient producers of HDPE pipe. WL’s mission is to be the supplier of choice for its customers through an unwavering commitment to customer service, high quality control standards and speed to market. INEOS O&P USA has today announced it has acquired 100% of the shares of WLP Holding Corp., one of the largest high density polyethylene (HDPE) pipe manufacturers in North America. The business is headquartered in Fort Worth, TX with production facilities in Kentucky, South Dakota, Utah, Texas, and Wyoming. A facility in Georgia is currently under construction. INEOS now responsible for a strategic UK asset that delivers almost 40% of the UK’s North Sea oil and gas. 20% of the oil that passes down the pipeline feeds the INEOS refinery to provide 80% of Scotland’s fuel. INEOS has today announced that it has agreed to acquire the Forties Pipeline System (FPS) and associated pipelines and facilities from BP. The 235 mile Forties pipeline system links 85 North Sea oil and gas assets to the UK mainland and the INEOS site in Grangemouth in Scotland. Under the terms of the agreement INEOS will pay BP a consideration of up to $250 million for the business, comprising a cash payment of $125 million on completion and an earn-out arrangement over seven years that could total $125 million. On completion of the deal the ownership and operation of FPS, the Kinneil terminal and gas processing plant, the Dalmeny terminal, sites at Aberdeen, the Forties Unity Platform and associated infrastructure will transfer to INEOS. These assets will transfer as fully operational units, at which point INEOS will be responsible for a strategic UK asset that delivers almost 40% of the UK’s North Sea oil and gas. It is expected that around 300 people that operate and support the FPS business at Kinneil, Grangemouth, Dalmeny and offshore will become part of the INEOS Upstream business. BP group chief executive Bob Dudley commented: “BP is returning to growth in the North Sea as we bring important new projects, including the Quad 204 redevelopment and Clair Ridge, into production and pursue further opportunities beyond these. While the Forties pipeline had great significance in BP’s history, our business here is now centred around our major interests west of Shetland and in the Central North Sea. The acquisition and transfer of operatorship is targeted to complete in Q3 this year, subject to the receipt of regulatory and other third party approvals. Forties pipeline was opened in 1975 to transport oil from BP’s Forties field, the UK’s first major offshore oil field. Today FPS carries liquids production from some 85 fields in the Central and Northern North Sea and several Norwegian fields on behalf of 21 companies. In 2016, the pipeline’s average daily throughput was 445,000 barrels oil and some 3,500 tonnes of raw gas a day. The system has a capacity of 575,000 barrels of oil a day. BP sold its interests in the Forties field to Apache in 2003 and sold Grangemouth refinery and chemical plants to INEOS in 2005. The FPS system primarily comprises a 169 kilometre (105 mile), 36” pipeline from the unmanned offshore Forties Unity platform to the onshore terminal at Cruden Bay. From there a 36” onshore pipeline transports the oil 209 kilometres (130 miles) south to the Kinneil facilities, adjacent to the Grangemouth refinery and chemical plant, where it is processed and stabilised before output is sent either for export via the Dalmeny terminal and Hound Point loading jetty or on to Grangemouth. FPS equipment on Apache’s Forties Charlie platform. BP’s interest in the GAEL N (54.3%), and GAEL S (30.5%) pipeline. St Fergus-to-Cruden Bay natural gas liquids line. Netherley, Brechin and Balbeggie pumping stations. LPG storage and export at Grangemouth and Grangemouth docks. Dalmeny tank farm and pipelines to Hound Point. The European Commission has approved the takeover of DONG’s oil and gas business by UK petrochemicals giant INEOS. It comes after the Danish firm agreed to sell its oil and gas exploration and production unit for $1.05 billion (£810m). That includes a mix of long life and development fields, producing an average of 100,000 barrels of oil equivalent (boe) each day in the North Sea alone. It also includes around 570 million boe of oil and gas reserves in Denmark, Norway and the UK. The deal is expected to position INEOS as a top 10 company in the North Sea and significantly expand its trading and shipping activities. The Commission found the proposed transaction would raise no competition concerns “given that the companies’ activities overlap to a limited extent and that a number of alternative suppliers would remain in the market after the merger”. INEOS today announced that it has agreed to acquire the Dong Oil & Gas Business from DONG Energy A/S for an unconditional payment of $1.05bn, plus a contingent payment of USD 150 million related to the Fredericia stabilisation plant and a contingent payment of up to USD 100 million subject to the development of the Rosebank field. In acquiring the entire DONG Oil & Gas Business, the deal positions INEOS as a top ten company in the North Sea and the biggest privately owned exploration and production business operating in this energy basin. DONG Energy’s Oil & Gas business brings with it a good mix of long life and development fields, producing an average of 100,000 boepd (in 2016) in the North Sea, with around 570 million boe of commercial and potential oil and gas reserves in Denmark, Norway and the UK (West of Shetland). INEOS to buy the entire Oil & Gas business from DONG Energy A/S for a headline price of $1.05 billion plus $250m contingent. In acquiring the DONG Oil & Gas business, the deal positions INEOS as a Top 10 company and the biggest private enterprise operating in the North Sea. The business being acquired has a strong portfolio of long life assets, producing 100,000 barrels of oil equivalent per day (boepd) in 2016 and with around 570 million boe of commercial and potential oil & gas reserves across the Danish, Norwegian and UK Continental Shelves. The new plant will support customer demand and improve security of supply for INEOS plants in Gladbeck and Antwerp. INEOS Phenol has today announced it is planning to build a world scale Cumene in Germany with planned start up in 2020. The construction of a new cumene plant will support customer demand improve the security of raw material supply to INEOS phenol and acetone plants located in Gladbeck and Antwerp. INEOS Phenol is the world largest producer of phenol and acetone and the largest consumer of cumene, which is an essential raw material. This investment reinforces its commitment to its customers across its world markets. The company has confirmed that the unit will use Badger cumene technology and a full study of investment options is to be completed by the end of 2017. “INEOS Phenol already owns and operates one of the world’s largest single train cumene plant at its Pasadena site in Texas, which uses Badger proprietary technology. We are delighted that INEOS Phenol has also chosen us for this new and exciting project.” said Dana Johnson, President of Badger. Ineos claimed that ministers had acted illegally in announcing the block in October 2017. But the government argued that there is no ban in place as the policymaking process is still ongoing. Lord Pentland agreed that the challenge was "unfounded" because "there is no prohibition against fracking in force". And he agreed with Scottish government lawyers that statements from ministers referring to an "effective ban" were "mistaken and did not accurately reflect the legal position". Scotland’s highest court ruled against petrochemicals company INEOS on Tuesday June 19, after it challenged a devolved Scottish government moratorium against fracking for oil and gas. INEOS, headed by billionaire founder Jim Ratcliffe, argued the Scottish government had imposed an unlawful ban on fracking in October 2017 and had sought a judicial review to overturn it. The Court of Session (スコットランド最高民事裁判所) said the government had not imposed a ban, despite several statements to that effect, and had instead an “emerging and unfinalised planning policy expressing no support on the part of the Scottish government” for fracking. The extraction of oil and gas from tight rocks by fracturing them using chemicals has become a contentious issue in Europe after it helped reverse a fall in U.S. oil output, transformed its gas sector and boosted the economy of several states. Despite that, fracking is also associated with environmental issues such as increased industrial activity, fears over water contamination and objections that it boosts fossil fuel production when more renewable energy should be encouraged. INEOS operates a refinery at Grangemouth, down the Firth of Forth, and ships shale gas from the United States to supply it. It holds the rights, expiring on June 30, to explore for gas over a 400 km area between Glasgow and Falkirk. The devolved Scottish government announced last October it was against fracking, in line with public opinion. It ordered local authorities to reject planning applications from companies seeking to frack, a measure that energy minister Paul Wheelhouse told parliament was “sufficient to effectively ban the development of unconventional oil and gas extraction”. “The decision that I am announcing means that fracking cannot and will not take place in Scotland,” he said then. Judge Lord Pentland said, despite such ministerial statements which he cited in the court opinion, “there is indeed no prohibition against fracking in force at the present time”. INEOS welcomed the court’s decision which it said clarified the “confusion arising out of government announcements”. Wheelhouse said, in reaction to the court ruling, that the government’s position against fracking remained unchanged. Just over 100 miles south of the border, British shale gas developer Caudrilla expects to fracture its first two horizontal wells in Blackpool later this year, subject to approvals. Petrochemicals company Ineos will invest 2.7 billion euros ($3.15 billion) to build a new chemical cracker and a propane dehydrogenation (PHD) unit in northwest Europe, the company said on Tuesday. This is the first cracker to be built in Europe in 20 years and both facilities will benefit from US shale gas economics, it said, adding that the location of the site will be announced soon and the project will be completed in four years. This new investment follows a decision taken by Ineos last year to increase the capacity of its existing crackers. INEOS Phenol said Wednesday it will expand the phenol capacity of its 540,000 mt/year Mobile, Alabama, plant to 850,000 mt/year, turning it into the largest plant in the world. "This expansion will meet anticipated growth in demand and shows a clear commitment to our customers to meet their long-term needs in North America," INEOS CEO Hans Casier said. The company noted that the asset in Mobile was already the "largest and most efficient single train plant" in the US and said that the expansion will build on existing strength while taking advantage of its location in the US Gulf Coast. The company cited anticipated demand growth as a driving factor behind the expansion. An anticipated start up date was said to be by 2021, according to a media spokesman. Meanwhile, the US phenol market has been extremely tight in recent weeks on the back of healthy demand. Spot phenol in the US has been talked at 16 cents above the benzene contract and higher and prices were last assessed at $1,206/mt FOB USG. INEOS, EUROPE’S LARGEST PETROCHEMICALS COMPANY, ANNOUNCES ANTWERP AS THE LOCATION FOR ITS NEW GROUND BREAKING 3 BILLION EURO PETROCHEMICAL INVESTMENT. INEOS commits to building a new world scale chemical cracker and PDH plant in North West Europe. The €2.7 billion is the biggest capital investment ever made by INEOS. This is the first cracker to be built in Europe in over 20 years. Today INEOS has approved a €2.7 billion capital project to build both a world scale ethane cracker and a PDH (Propane Dehydrogenation) unit in Northern Europe. Both units will benefit from US shale gas economics. This will be the first new cracker built in Europe for two decades. It will also be one of the most efficient and environmentally friendly plants of its type in the world. The location of the site will be determined soon and it is likely to be on the coast of North West Europe. A project team has been assigned to consider options and the project is expected to be completed within four years. INEOS has announced plans to construct a world-scale Propane Dehydrogenation (PDH) unit in Europe. The plant will produce 750,000 tpy of propylene for INEOS units across the continent. A number of possible locations are currently being considered including a number of INEOS sites at Antwerp in Belgium. INEOS also Intends to increase the ethylene capacity of its cracker facilities at Grangemouth in Scotland and Rafnes in Norway to over 1 MMt each. INEOS currently produces nearly 4.5 MMt of ethylene and propylene across Europe, but remains the largest buyer of ethylene and propylene in the region. “These projects represent the first substantial investments in the European chemicals industry for many years. It has only been made possible because of INEOS massive $2 B investment in our Dragon Ships program, which allows us to import ethane and LPG from the US in huge quantities,” said Jim Ratcliffe, founder and chairman of INEOS. INEOS’ ground-breaking decision to ship shale gas from America has paved the way for new investments on European soil. These competitively priced raw materials will now be used in plans to expand production of ethylene and propylene for INEOS’ businesses in Europe. Output from the new production will be used to feed INEOS’ derivative businesses, replacing ethylene and propylene currently purchased from other companies. In all, nearly 2 billion Euro will be spent on major new petrochemical projects in Europe, with Belgium, Norway and Scotland all likely locations for significant investments. “Without access to cost advantaged raw materials these investments could not be possible,” said Gerd Franken, CEO INEOS Olefins & Polymers North. Work on expanding the crackers at Rafnes, Norway, and Grangemouth, Scotland, is expected to start in 2019 and, once built, could add up to 900kt to INEOS’ overall of ethylene production capacity. In addition to the investments in ethylene, INEOS is also planning a new production facility to produce 750kt of propylene, with Antwerp in Belgium one of the possible locations. The decision to expand capacity at Grangemouth is especially good news for the staff who, in 2013, had faced the prospect of the ethylene plant shutting due to dwindling North Sea gases. INEOS Chairman Jim Ratcliffe said that these would be the first substantial investments in the European petrochemicals industry in many years. “Collectively, these investments are the equivalent of building a new world-scale cracker in Europe,” he said. Pete Williams, Head of Investor Relations, said the investments, which could create up to 100 jobs in total, showed that INEOS was committed to maintaining a competitive manufacturing base in Europe. INEOS currently produces almost 4.5 million tonnes of ethylene and propylene – the key building blocks for many petrochemicals – but still remains the largest buyer of both in the region. INEOS has announced Hull in the northeast of the UK as the location for its new 300,000 tonnes/year vinyl acetate monomer (VAM) plant, as the privately-owned chemicals major on Wednesday committed to investing £1bn in its UK facilities. The company initially announced its plans to build a VAM plant in Europe in September 2017, with Antwerp in Belgium and Cologne in Germany also mooted as possible locations at the time. “This is an exciting time for INEOS and great news for manufacturing in the region,” said INEOS Oxide CEO Graham Beesley. 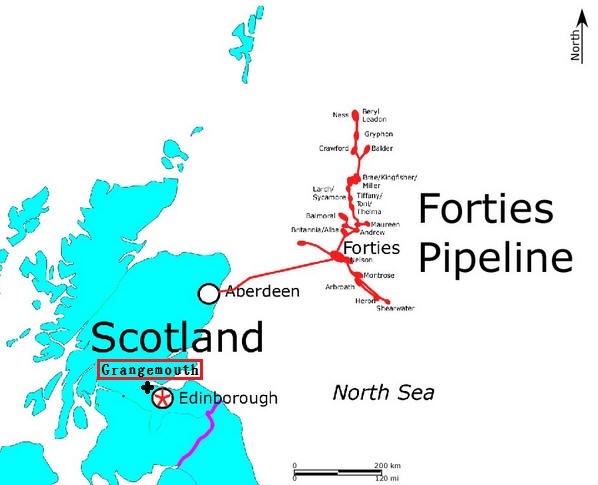 Elsewhere, the largest of the three investments announced on Wednesday will be in the Forties Pipeline System (FPS), where INEOS will spend £500m in upgrading the asset and extending its lifeline into the 2040s. INEOS purchased the FPS from chemicals and energy major BP in November 2017. “INEOS intends to overhaul the reliability of the 500km pipeline system, including modernising the environmental systems and implementing the latest technology into its systems,” the company said. The third investment will be in a new £350m steam and power plant at INEOS’ Grangemouth facility, which will deliver improved energy efficiency, it said. “At an uncertain moment for the country, INEOS has confidence in its businesses and is committed to continue investing in manufacturing and high-skilled jobs in the UK,” said INEOS' majority owner Jim Ratcliffe. New plant will be 1.2 billion pounds (520,000 Tonnes) of EO per annum. Operational 2023. INEOS Oxide has today announced that it is to double the size of its planned Ethylene Oxide (EO) and Ethylene Oxide Derivatives (EOD) facility to be built on the U.S. Gulf Coast. The new plant will produce 1.2 billion pounds of EO (circa 520kt). The plant is expected to be operational in 2023. In addition to installing its own Ethoxylate derivative capacity on-site and infrastructure to supply customers by rail, INEOS plans to allow interested third-parties to co-locate on site and consume EO by pipeline. INEOS is considering several sites on the U.S. Gulf Coast. INEOS Enterprises has today announced that it has signed an agreement to acquire The North American business of National Titanium Dioxide Company Limited (Cristal) from Tronox Limited for $700 million. Cristal’s North American business includes two-plants located at the Ashtabula Ohio (US) complex. The deal forms the proposed remedy package submitted to the US Federal Trade Commission (FTC) by Tronox ahead of its proposed acquisition of Cristal’s global titanium dioxide business. Cristal’s Ashtabula Complex consists of two facilities – Plant 1 and Plant 2 – that produce titanium dioxide pigment (TiO2). The two plants occupy approximately 140 acres adjacent to Fields Brook and two miles south of Lake Erie. The proposed sale of the North American business to INEOS, has received support from Cristal and Tronox’s North American customers and will make INEOS the second largest producer of this essential product in the country. The wider transaction and remedy proposal is subject to clearance by the Federal Trade Commission (FTC). Titanium dioxide is a white pigment found in a wide range of applications from paints and varnishes as well as paper and plastics. It is the most widely used white pigment because of its brightness. Pigment applications include printing inks, fibres, rubber, cosmetic products, glass and ceramics. The global titanium dioxide market is highly competitive, with players competing based on price, quality or product, technical service, and the availability of high-performance pigments.